As most people seem to be, I'm disappointed to hear HMV is calling in the administrators after years of uncertainty. 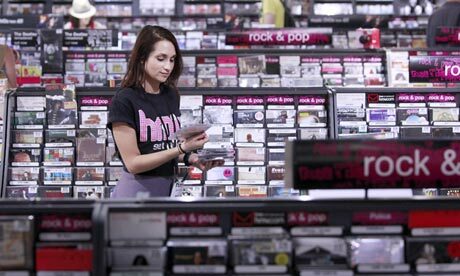 I think stores like HMV – and the many others which have fallen in recent years – hold a certain sentimental value for many of us who remember wandering the seemingly endless shelves of CDs and DVDs. Perhaps the problem is that none of us realise our fondness for these stores until they’re gone – nobody recalled their pic ’n’ mix memories until Woolworths disappeared from our high streets. It’s easy to be cynical about this, to say HMV ripped off customers with over-priced merchandise and in doing so set up its own demise, but the reality is that HMV has 239 stores and employs about 4000 people in the UK. 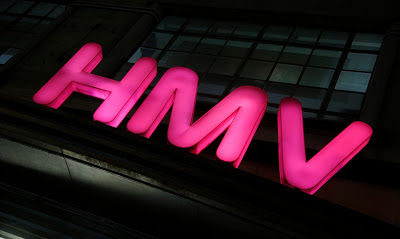 The consequences of all those stores closing down would be widely felt, not just by customers, but by staff and the many companies connected to HMV. With that in mind, I’m sure the administrators – Deloitte – will try to save as many HMV stores as possible. Not just because they want people to have the option of buying physical copies of films and music in stores, but because the film and music industries will not want to become completely reliant on Amazon and iTunes. And I believe there's still a place for HMV on the high street, the stores just need to evolve and become a destination for shoppers, not just somewhere to pick up a DVD. One of the best ways of doing this is to become more local (even though they're actually not); whether that's through introducing local bands or more generally focusing on what the local audience wants. Still, with hundreds of store closures imminent, maybe what we’re losing from our high streets is something more important than shops, it’s the social element of people going in to shops and interacting with others. Things do evolve, of course, and maybe the high street just has to be one of those things, but that doesn’t mean to say we have to lose any sense of community – rather the opposite. Huge chain stores closing down - which once put thousands of independent retailers out of business - provides us with an opportunity to rejuvenate our high streets, an opportunity for independent stores to open once again, and an opportunity to refocus the purpose of town centres to more community-based activities.